drink the good stuff! : Sideways: will it ever end? Sideways: will it ever end? I just read that Sideways (you know that little wine movie that worships Pinot Noir and disses Merlot) has spun off an actual wine bar. I know it won an Academy Award and all but will we ever hear the end of it? The bar, called Tastes of the Valleys, a SIDEWAYS wine bar, is slated to open later this month in Santa Barbara County. In addition to wines featured in the movie, patrons can check out the map to see where the Sideways characters actually spent their time in town. To that Vino Girl says, "get a life!". The group behind the Santa Barbara bar hopes that this location will be successful enough to lend itself to additional SIDEWAYS wine bars. One can only hope. Can't some folks get a real life and have real experiences of their own and not copy some fictional version? I just hope they find another "wine of the moment" so I can actually afford some Pinot Noir, again. Interesting. My husband and I visited this area the week after Christmas, and we asked a lot of people we met how "Sideways" affected their work and lives. Most of the people in the wine industry were upset that this movie has created a party mentality among the L.A. crowd, and the desribed scenes of how people come up for the day or a long weekend to drink themselves silly. Other people in the tourist industry were somewhat grateful for the business, but also rolled their eyes at the Sideways tourists. I would hope that people who really want to taste wine don't spend the entire time in Solvang. Not that it is a bad town, but it is a busy, touristed town and there are so many other places to explore. OOOOOOOOOOHHHHHHHHH BOY. Here we go. I hear the marketing machine whirring. Disneyland for wine. OOOOOOOHHHHHHH BOY. I'm shocked that this movie some time later is still riding the high wave and can be marketed as such to generate $$$. I hear some people are actually to still blogging about Sideways, lol. Cheers! Odd. Though we have licensed the use of the Sideways name, we don't (and never did) intend to pre-package an experience for wine travellers. Nor do we offer "the wines of the movie". I find it odd that those who spend their time promoting wine are so quick to diss the movie that introduced wine to more Americans than any other single event since the 60 Minutes episode on the French Paradox. Sideways is simply a permanent part of the wine scene, still mentioned in an average of three articles per day worldwide. I think that if "Anonymous" had spoken to winery and business owners instead of "a lot of people" (one guesses these would be the part-time workers behind the bar? ), I think she would find they are well pleased by the significant increase in demand the movie created for their product. Let's face it, many of the area's most interesting and talented boutique producers are barely surviving, and Sideways allowed them to continue at what they love. 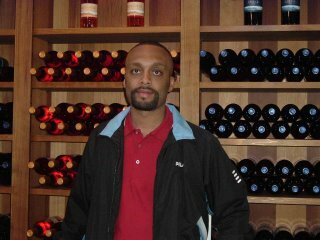 I invite you to visit our wine bar - Tastes of the Valley (a Sideways Wine Bar). Our early feedback indicates we offer one of the best wine bars in the county. Our portfolio includes Au Bon Climat, Qupe, Lane Tanner, Vita Nova, Verdad, and many other top producers. Of particular interest are the Hitching Post pinots from the mid 1980's. These wines were produced by Lane Tanner and a rare treat for any serious collector of pinot. We are also dedicated to wine education, both for our staff and our patrons. Our program includes WineMaker Tastings as well as our own class schedule, with an average of two events per week. I think once you've taken the time to see what we're about, you'll become regular visitors. And hopefully, equally vocal supporters.